Join LightForm and PARTISANS to celebrate the launch of Gweilo, the award-winning collection of architectural lights by the Toronto-based studio. Equal parts warehouse party and fabrication workshop, the event will feature the PARTISANS crew hand-sculpting their lights throughout the night. “The FACTORY party will feature the art of manufacturing in action,” says Alex Josephson, cofounder of PARTISANS. “We’re bringing mass customization to the public and turning it into a live performance piece.” Guests will be able to custom order their Gweilo pieces on site and watch as the team tailor-makes the lights in LightForm’s warehouse space. Inspired by the idea that light itself could be harnessed and manipulated to create a physical sculpture, PARTISANS developed a design that alters light at its source. Each Gweilo is hand-sculpted using thermoforming, a technique that allows optical grade acrylic sheets to be individually shaped while they are still in their hot plastic state. 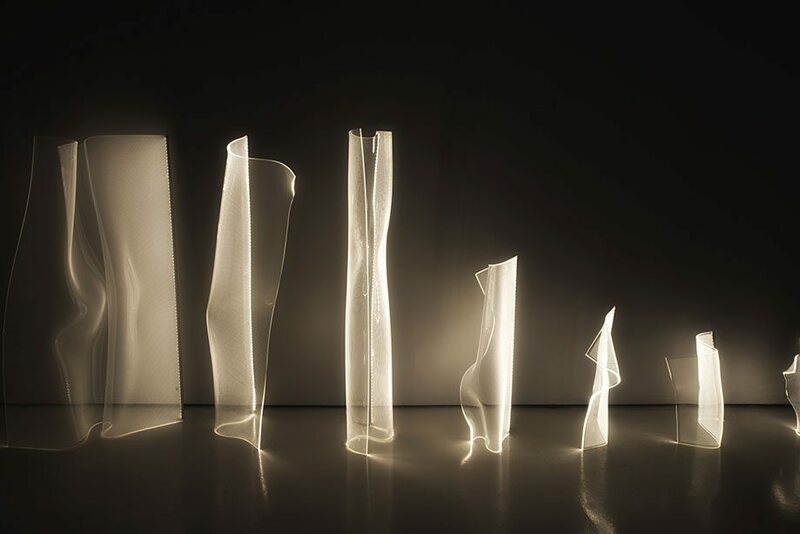 As spectral sculptures that fold and bend like light rays themselves, Gweilo reimagines the very way in which a light source emits luminescence to architectural effect. Gweilo pieces function as accents, dividers, or centrepieces, gracefully delineating space and creating a phantasmal ambiance. LightForm and PARTISANS are now taking Gweilo from prototype to product. LightForm is a passionate advocate for well-lit spaces. With a keen understanding of lighting’s influence over the ways we feel, behave, and interact, LightForm applies evolving lighting technology to bring shape to the spaces in which we live. 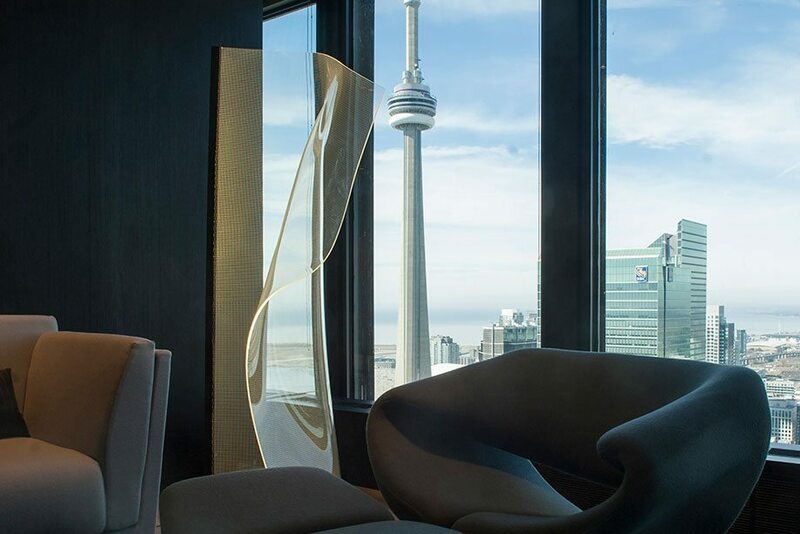 Using knowledge gained through years of lighting commercial, residential, and hospitality projects, LightForm’s goal is to educate and inspire Canada’s design professionals. 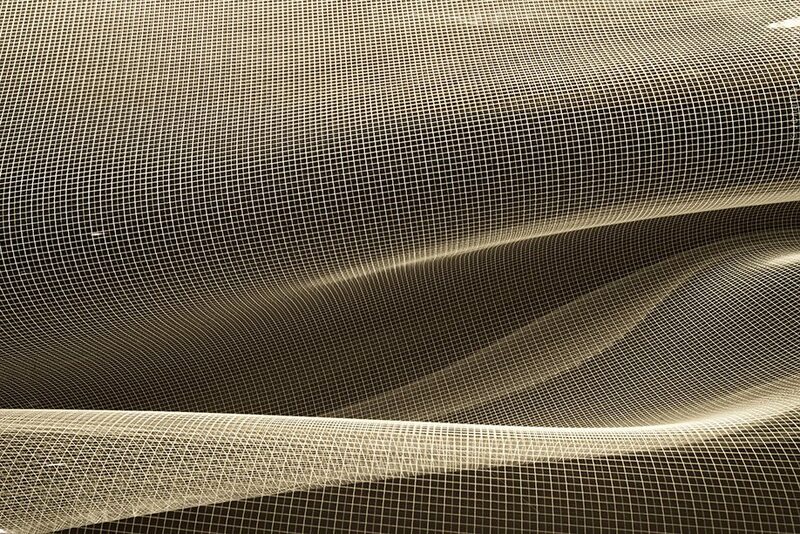 PARTISANS and LightForm will also be taking the FACTORY to Toronto’s 2017 Interior Design Show the next night, Thursday, January 19. In case you miss the warehouse party at LightForm, come catch PARTISANS in action at IDS17 (January 19-22)!